The dish drainer by Shane Schneck for Hay is a functional dish rack for the kitchen, that can be individually configured. 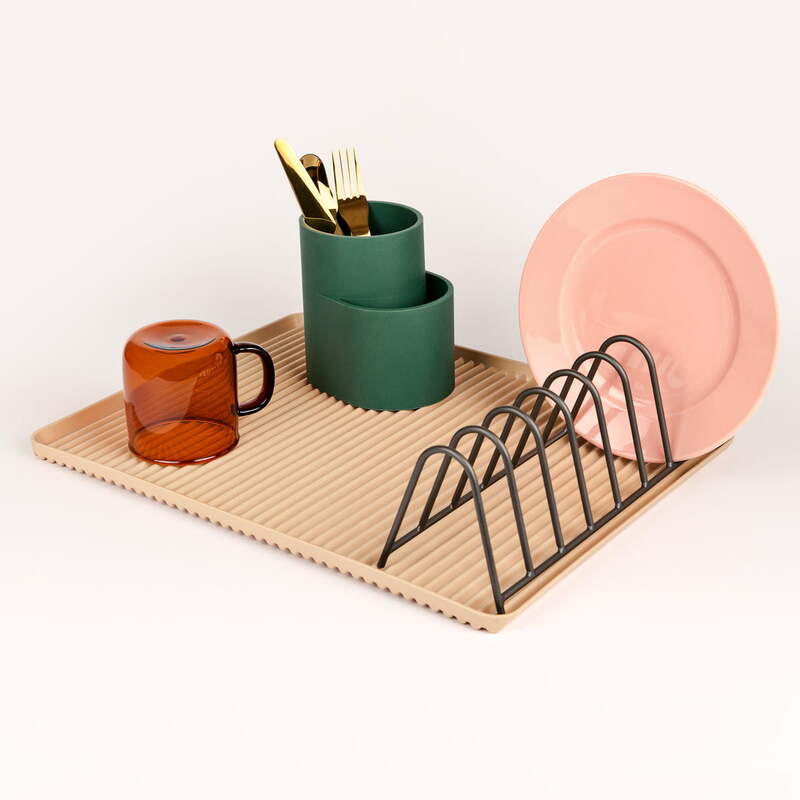 Featuring a rack, a drip tray and cutlery holder, the different elements can be combined as necessary. 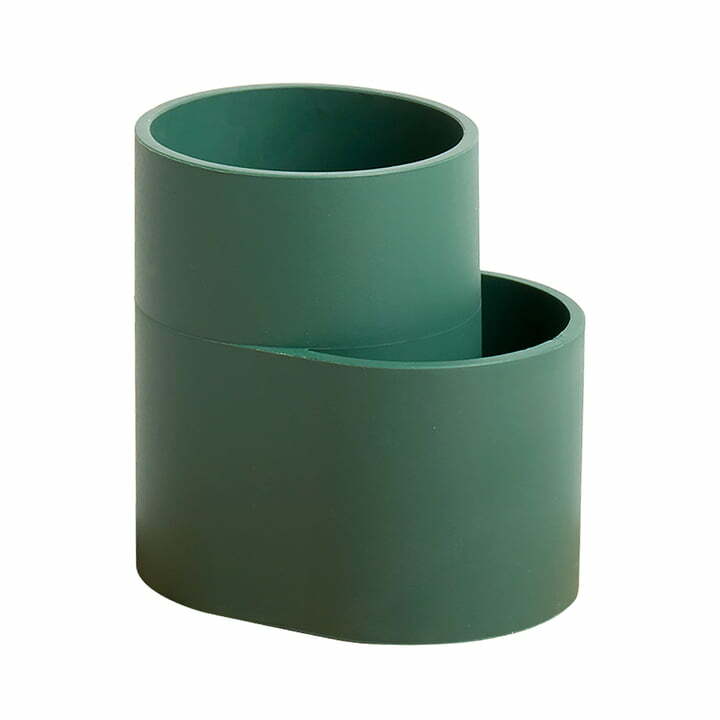 The base is made from melamine and has a ribbed texture, so that any water can easily drain and won’t accumulate. Several racks can be arranged on the tray, and serve to put minimum 8 plates, bowls or pans to dry. A cutlery holder made from silicone is also provided and can be placed anywhere on the tray. The Dish Drainer set was designed by Shane Schneck who placed particular emphasis on allowing the users various configuration possibilities. Available in various colours, the drainer can be set up according to your needs and instantly adds character to your sink area. 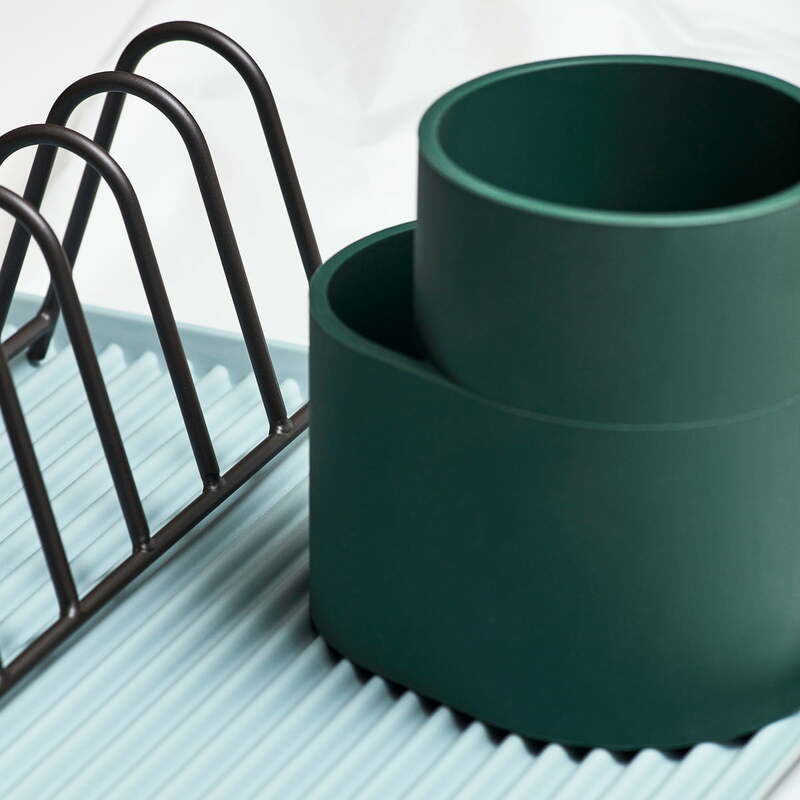 Isolated product image of the Hay - Dish Drainer cutlery holder in dark green. The container is made of silicone and be used to dry cutlery and kitchen utensils. 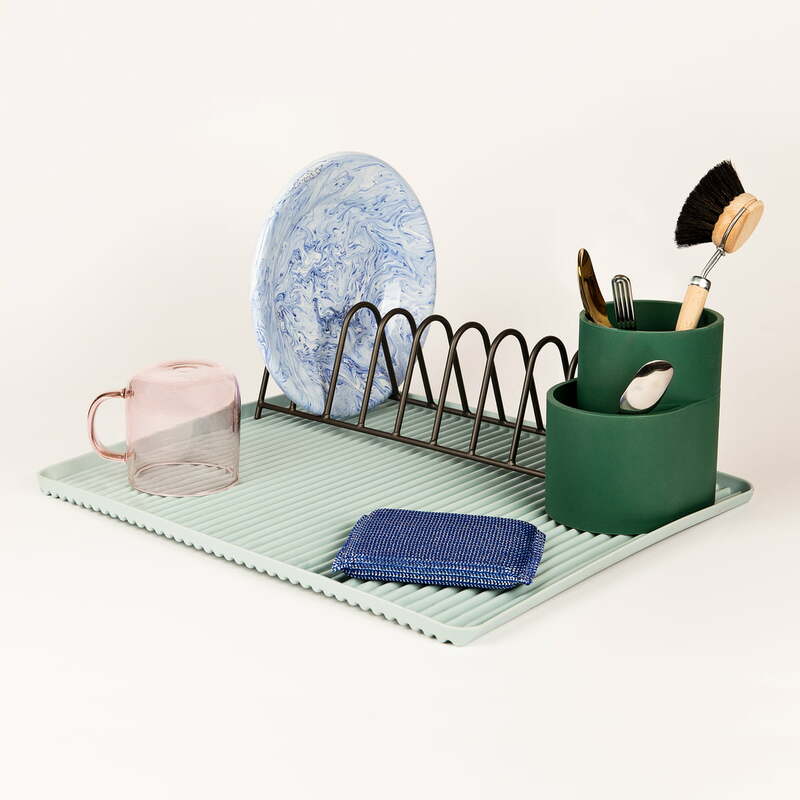 IIsolated product image of the Hay - Dish Drainer drip tray in light blue with a rack and drip tray in dark green - a great combination in harmonious colours. 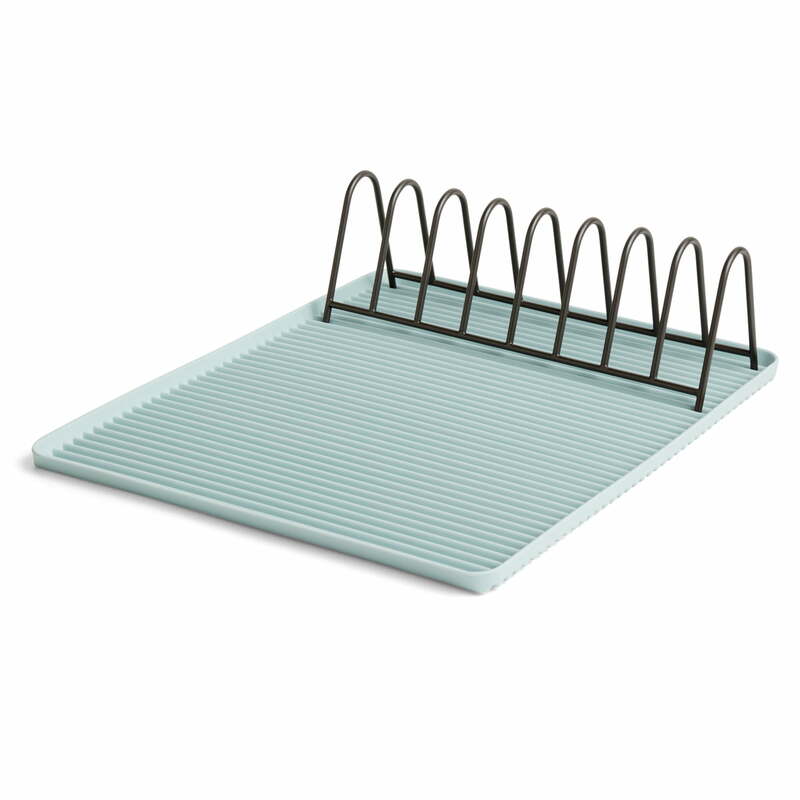 The Hay - Dish Drainer Drip Tray in light blue with a rack in anthracite. The frame can be placed freely on the tray and several can be used together. Lifestyle product image of the Hay - Dish drainer series. Plates can be put to dry in the rack, while the container is ideal for cutlery. On the grooved tray there is also enough space for mugs and bowls. Possible combinations of the Hay - Dish Drainer series The dish drainer by Shane Schneck for Hay is a functional dish rack for the kitchen, that can be individually configured. 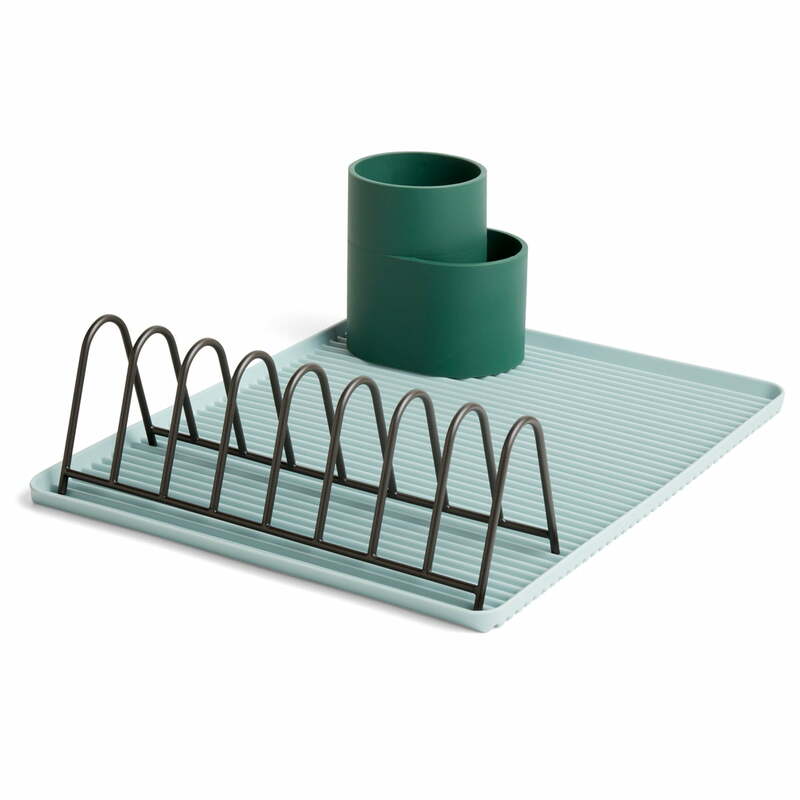 Detail product image of the Hay - Dish Drainer drip tray. Cutlery and kitchen tools can be dried upright and in a space-saving way thanks to the container made of silicone.